So, are you someone who picks up coloured leaves when they drift from the trees in your neighbourhood? Do you go for walks this time of year just to gather leaves and berries for decorating ... maybe for the mantelpiece or dining room table, perhaps to set on your desk, or to glue to the pages inside your journal? Yes, whenever I'm out for a walk my eyes are always scanning for little treasures in the grass. As a child, I loved gathering pretty shaped leaves so we could press them between sheets of waxed paper and then hang them in the windows in our kitchen or at school. I loved the smell of the wax melting from the hot iron. Did you? I love the smell of wax crayons too! So, when Rick and I were out walking on our recent holiday to British Columbia, I couldn't help myself. There were leafy piles starting to gather along the sidewalk and in the corners of garden steps. I tucked a small handful between the pages of my journal -- so they'd dry straight and not get all curled up, and to ensure they made it home without disintegrating into feathery bits. Yesterday I made this simple arrangement below. 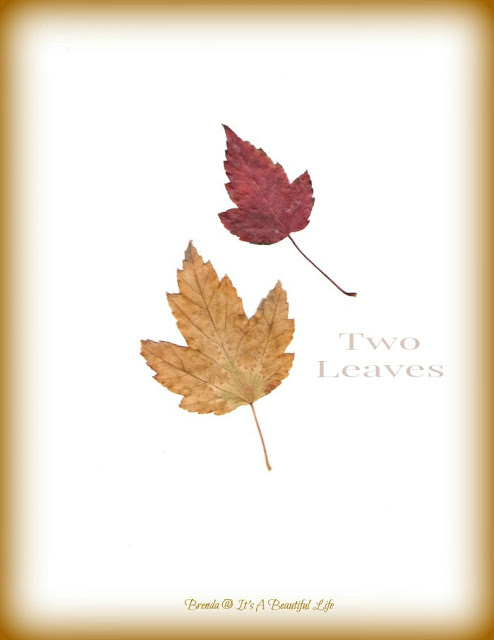 Just two leaves ... and yet I love its utter simplicity. I scanned it, edited the picture on picmonkey.com (added a quote and frame), and printed off copies on card stock. All with the idea of tucking them into envelopes heading to friends across the country, just in time to celebrate Canadian Thanksgiving this coming weekend. And, then I knew I also wanted to send some to you -- and the only way would be to make it available here online and you could download it. With a little help from my friend, Mr. Google, I figured out how to get a link for the pdf and now you can click here, download it, and have it too. Each card is about 3 3/4 x 2 1/2 inches. I got eight to fit on a page. Print the page off on card stock, cut apart ... and use them to tuck into your own greeting cards, or as gift tags (just punch a hole in the corner), or as placards at your Thanksgiving Dinner table. 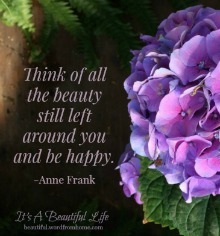 I've got mine propped against the lamp on my desk as a gentle reminder to live from a grateful heart. They're lovey cards!Thank you, Brenda. 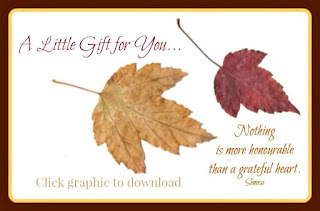 Have downloaded and stored ~ all my crafting stuff is packed, but Autumn is long!! Be assured these will get used, You were on a creative roll : D.
Autumn does indeed inspire, my goodness how I 'scan' when I walk out in it! And bring treasures home, mainly for my little special shelf in the kitchen. The movement of the falling of the leaves, like feathers, delights the heart too doesn't it? Difficult to capture in a photo, although I've tried. A hug to you, clever lady! These are beautiful, Brenda. Thank you so much!! Such a kind gift Brenda, and so pretty :) I've always picked up coloured leaves to bring home. When we camp in the fall I pick up some from outside our trailer and spread them on our dining table inside. Years ago I bought a microwave flower press. It's unglazed earthenware and is great for flattening and drying out the leaves in an instant. 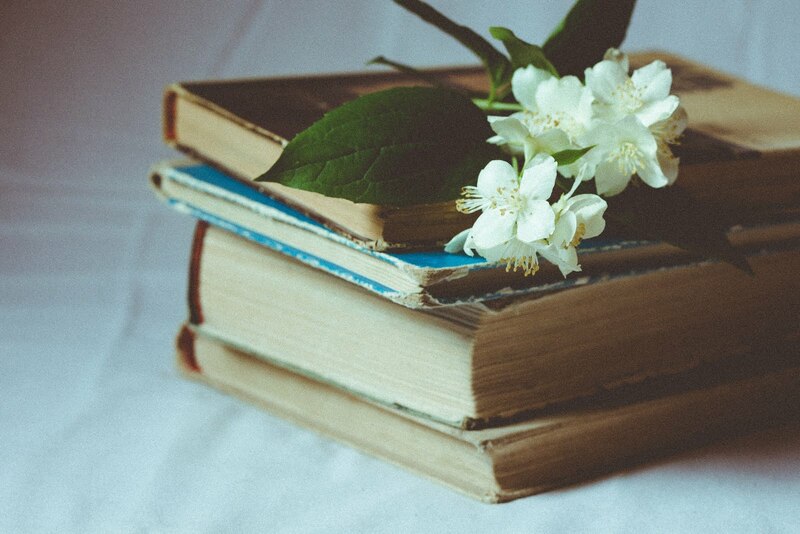 My mother always had us saving leaves between book pages, but that took far too long for my liking, and most times we'd forget which book they were in. But now when I look through some of Mom's old books a very dried, very old leaf will slip from the pages as a little "hello". What a sweet gesture, Brenda. I love picking up colored leaves. I have a clutch of them in a tall glass vase on my entrance table today, picked up on Sunday. Tis the season! I love collecting fall leaves. I still have a couple in a frame that my daughter gave to her father when she was about 7 years old. They still make me smile. Your collection is gorgeous. Thanks for the pdf, it's lovely! 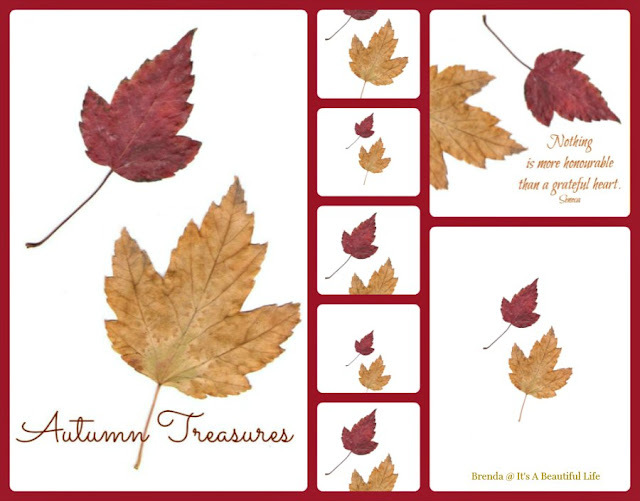 Brenda you have brought memories of pressing leaves between waxed paper to decorate the family table at Thanksgiving. Every year my dad would take us on a drive in the country to collect leaves. I do pick them up on my morning walk sometimes but press them between the pages of a heavy book. I enjoyed the first quote and the sweet poem you wrote and now look forward to this week's mail. Very nice, Brenda! Can't wait to for your card to arrive! Yes, I love walking in autumn leaves and always collect a few to press. I loved making the leaves between wax paper hangings , and did this with my own children and now grandchildren. Your two leaves creation is so perfect for my favorite season. Thank-you for sharing it with me. I do like the classic simplicity of the card, thanks for sharing it. How I love autumn, it doesn't feel like an end at all, it is a season full of possibilities. Charming, and thank you. I have been thinking of saving some leaves - maybe painting faces on them,but then I figured they would crumple but your reminder of pressing between sheets of waxed paper gave me the inspiration to get busy and collect and paint leaves. 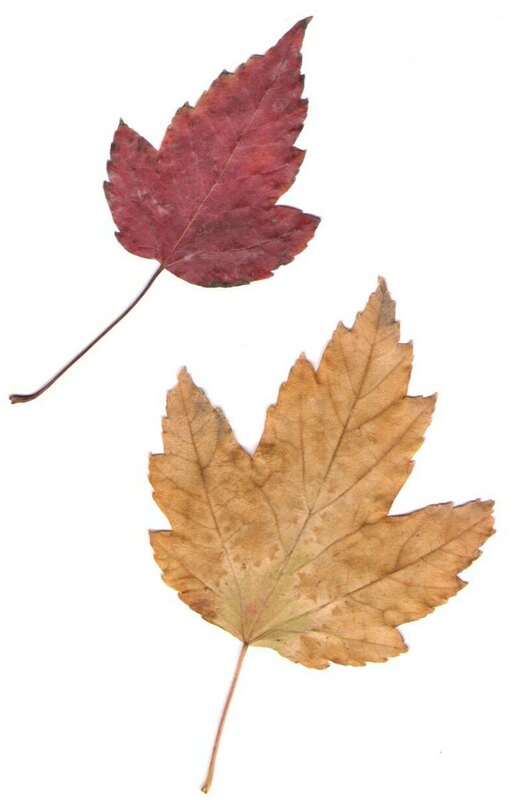 We have Big Leaf Maples here in the Pacific Northwest and they would be such fun to use. I still do the same things. I love bringing a bit of the outdoors inside. 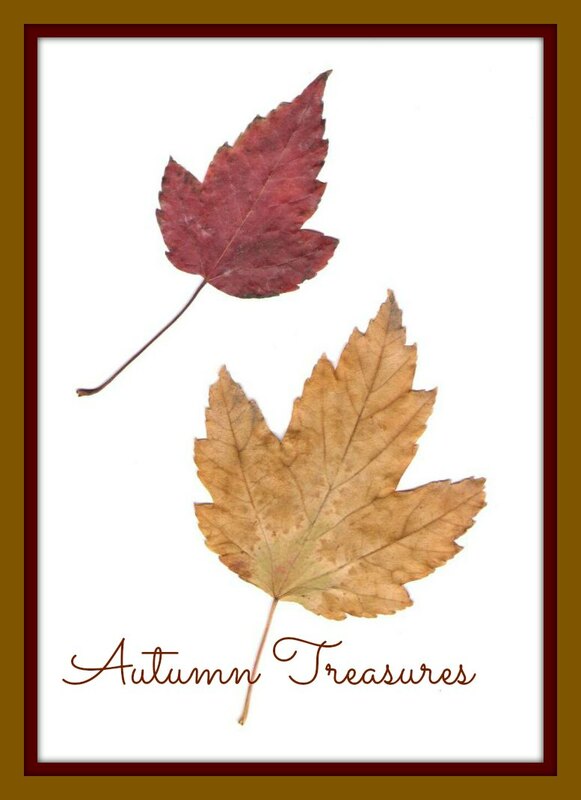 this is such a lovely idea of how to use the autumn leaves. I collected quite a few last autumn when we went to visit an tree park that was in autumn leaf. Planning to do something with them, but still have not. Perhaps I will borrow your idea. 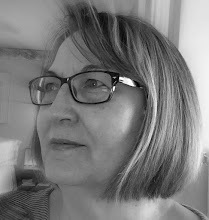 Have a great week and thank you for stopping by my blog last week. Sorry to be slow in getting back to you.